Whilst being interviewed about his impending retirement by The Queensland Times, Dr Trumpy was asked to comment about some of the most memorable incidents he managed. One incident he recalled was ‘The Goodna Explosion’ at St Patricks Convent School at Goodna in 1943. During this time it was not uncommon to find unexploded shells in the vicinity of the army camps and in this instance two boys came across the shell whilst walking in a paddock and decided to take it to school to show their classmates. At the end of school the boys were showing some friends and unfortunately they dropped it under the school building and it exploded injuring 8 children. Three ambulance cars brought the children to Ipswich Hospital where there was only Dr Trumpy and two resident medical officers, one of whom had contracted mumps. (The treatment of mumps at this time was the application of a hot antiphlogistine poultice to the affected jaw tied in a knot on the top of the head). The resident duly went to work with the poultice in place. Dr Trumpy operated on the children throughout the night and was deeply saddened when one of the children succumbed to their injuries. 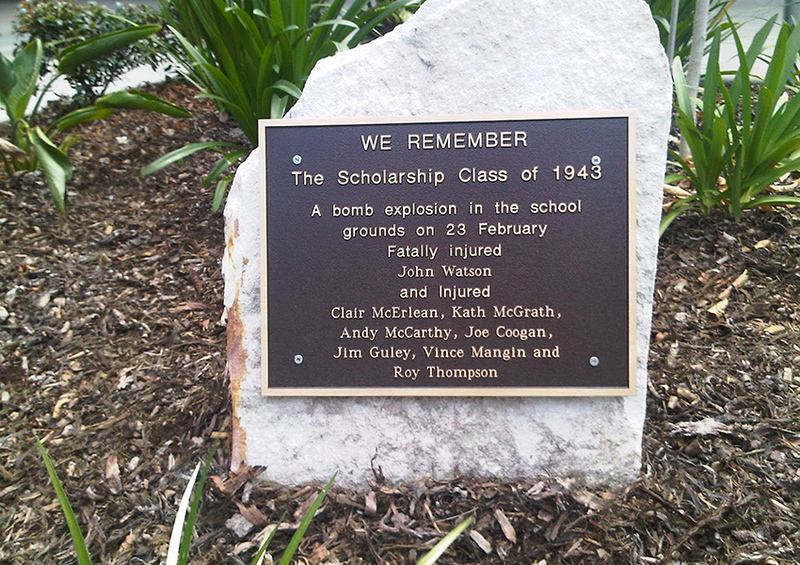 Image: Memorial plaque at St Francis Xavier School (previously St Patrick’s) at Goodna, to commemorate the schoolboy who died as a result of injuries sustained in the bomb explosion.